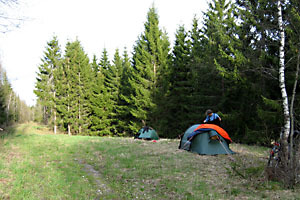 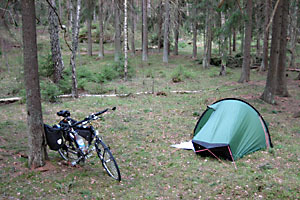 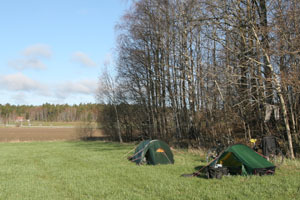 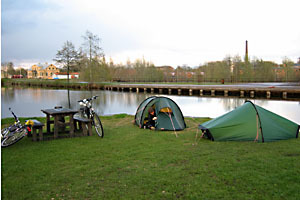 Like in most Scandinavian countries, in Sweden everyone is allowed to camp in the countryside. 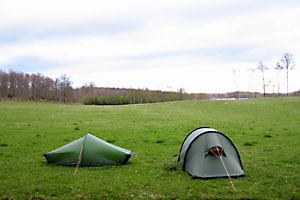 We did this to a great extend. 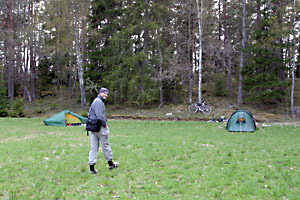 We camped somewhere out there all the time. 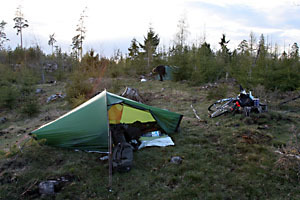 On the right, you see (and can read if you know the Swedish language) the Allemansrätten which sets some basic rules to this kind of "wild camping". 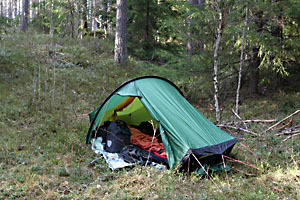 The nine pictures below are our nine night rests. 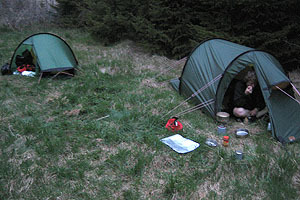 I slept in the small Akto, while Martin rested his head in the spacious Nammatj 2 tent.